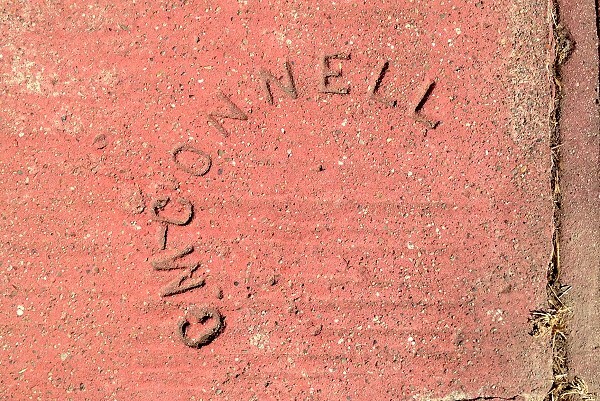 George Caswell McConnell was born in northern Ireland (records conflict on the exact place) in 1889. He married Isabelle Gibson Brown, a native of Dykehead, Scotland, in 1908 and emigrated to America in 1911. Their son William George was born in Chicago in 1912. A second baby, George, died in infancy in 1914. His World War I draft record described him as tall and slender, with brown hair and eyes. He was working as a streetcar conductor in Chicago. His citizenship status was “declarant,” an interesting concept to consider in light of current events, and he claimed a religious exemption to the draft (not an easy thing at the time). 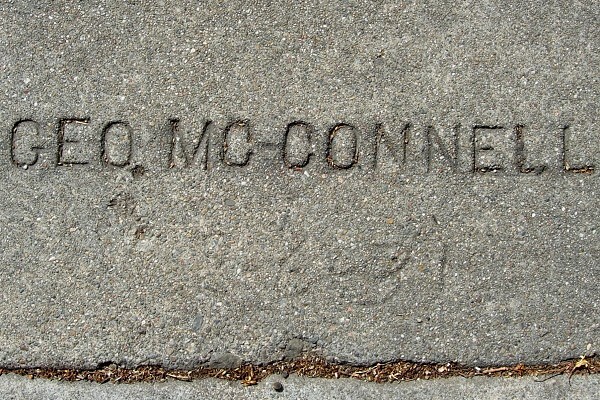 McConnell first appeared in the Oakland directory in 1923, the same year the breakup of his partnership with John Ogden was announced in the Tribune. The directories listed him as a cement worker, placing him and Isabelle at 2315 E. 27th Street (1923-25), 4070 Santa Rita Road (1926-27), and 2221 E. 27th Street (1928-30). In 1930 he was listed as an engraver for the jeweler Andrew Raust. His final appearance was in the 1933 directory, as a cement finisher living at 2637 23rd Avenue. 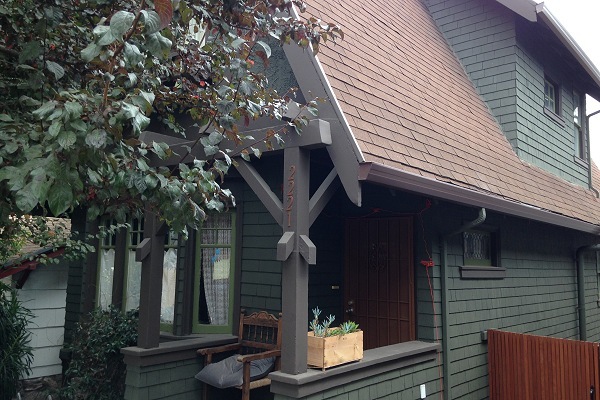 This is 4070 Santa Rita Road, a charming street. And this is 2221 E. 27th Street. Working people here could live well then. 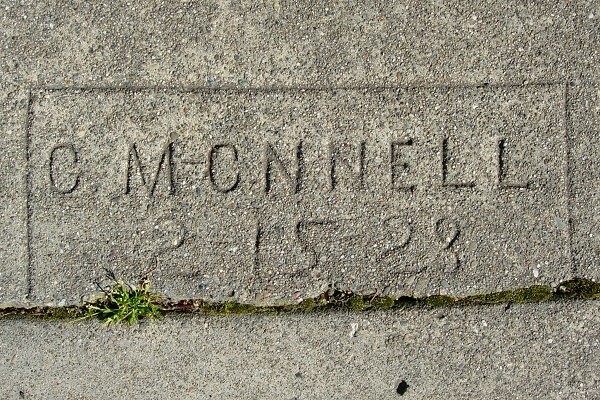 Few of McConnell’s sidewalk marks bear dates. One from 1927 is hand-written. 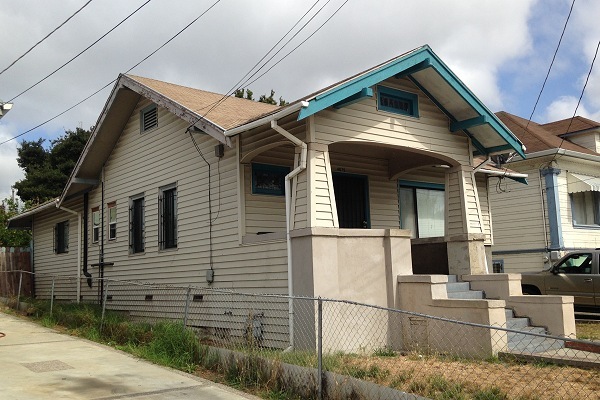 A few 1928 dates survive, like this one at 2215 E. 29th Street. He made these one letter at a time, as evidenced by this botched mark. As of 1931 he had adopted a more professional stamp. At some point he used this arc-shaped stamp, but I have seen none with dates. 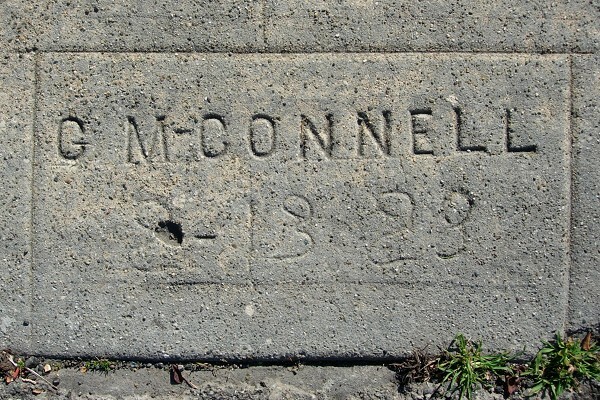 McConnell died in 1933 and is buried in Evergreen Cemetery. This entry was posted on 15 September 2017 at 8:02 am and is filed under Profiles. You can follow any responses to this entry through the RSS 2.0 feed. You can skip to the end and leave a response. Pinging is currently not allowed.